Studio Blog: Top 3 Tablets For Kids! Many of us own tablets. And many of us know how expensive and breakable they are, which is why we’re apprehensive to let our children mess about with them. Thankfully, companies such as Vtech, Leapfrog and Kurio have created a selection of small, hard-wearing tablets especially for children. Best of all, these tablets are not only fun, but they’re educational too, meaning you can rest easy knowing that your child is learning while playing, and not wasting their time. Listed below (in no particular order) are the top 3 tablets for kids, all of which can be purchased from Studio. And remember, if you’re working to a tight budget, you have the option to spread the cost of a new children’s tablet with a customer account! Volume control and headphone jack – so the kids can’t annoy you while you’re trying to watch TV! 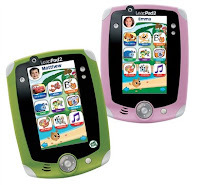 The LeapPad 2 and Innotab 2 both target young children and are similar in terms of design and features. The LeapPad 2 has the better specifications, but the Innotab 2 is cheaper, so it all comes down to a matter of budget when trying to distinguish between the two. 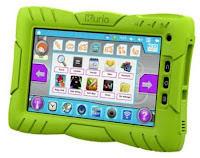 With its Internet accessibility and larger screen, the Kurio is more of a family tablet that everybody can use as opposed to a children’s tablet, making it the better choice for older children over the age of 10.